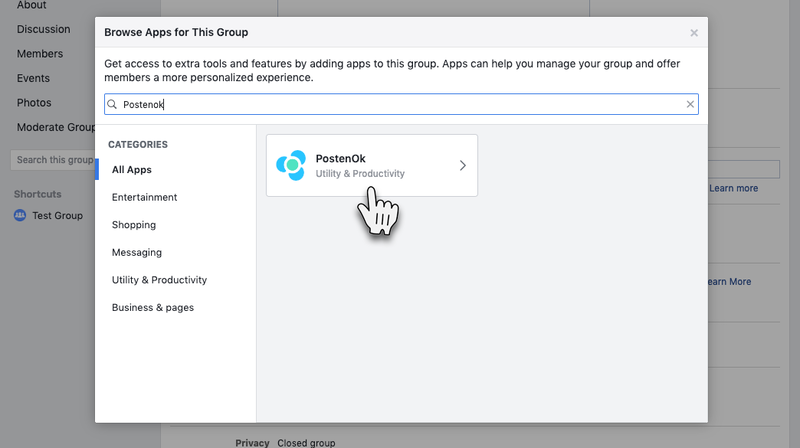 Type “Postenok” in the search bar of the window which appears, select apps and press Add in the window which appears next. Then a window will appear which offers to grant the rights to the app to access the profile name and picture. Press Continue. 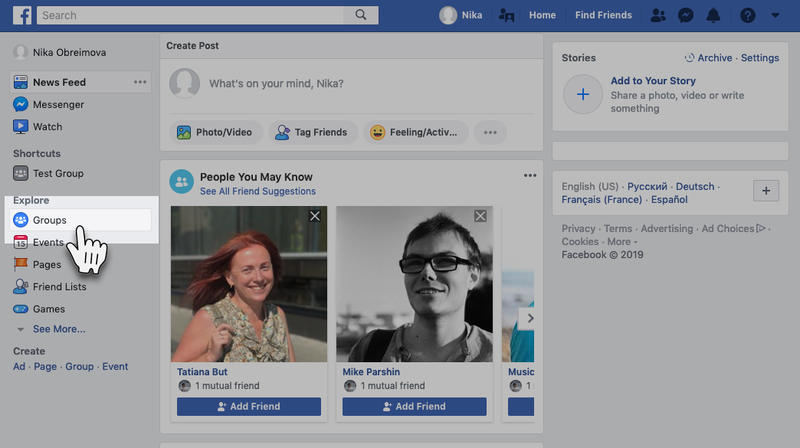 Then a window will appear which offers to grant the rights to the app to manage your pages, publish on behalf of your page, and publish to groups on your behalf. After granting all the related rights, the Service will open the list of all groups you have access to. 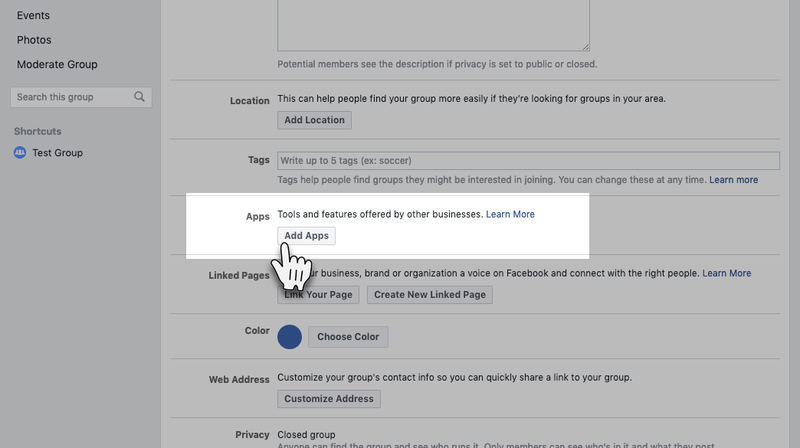 Select all groups you want to add and press Add. 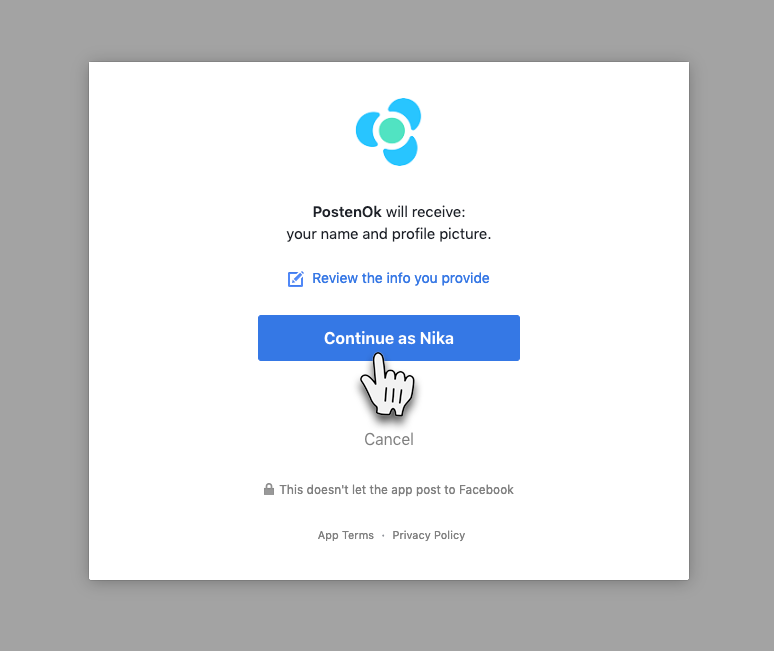 If you have already granted all the rights to the App, you will be automatically redirected to the final step. 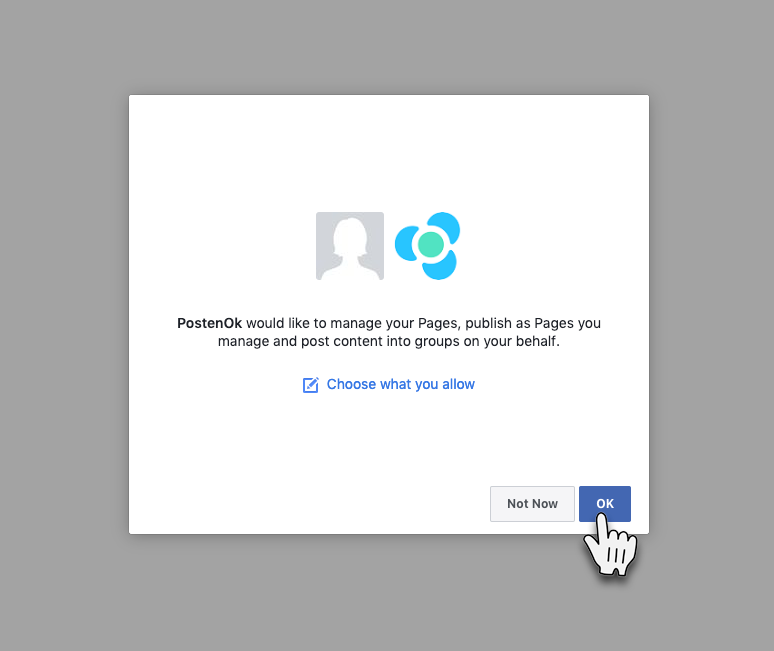 Only managers can link Facebook groups (or moderators if in the group settings it is specified that all group members are allowed to publish). 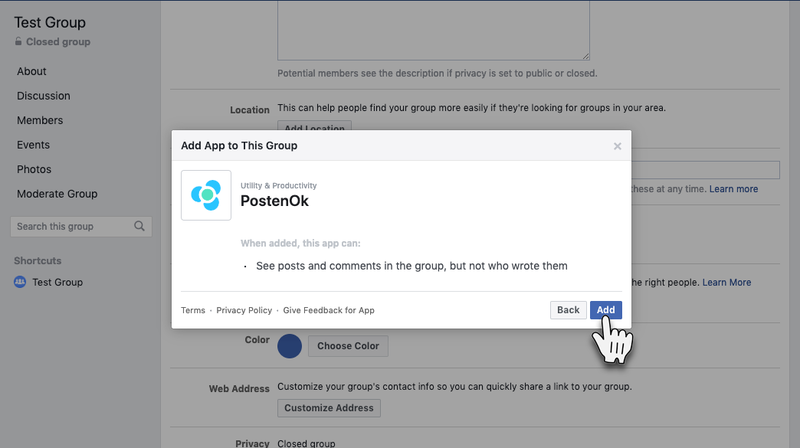 If, for some reason, you cannot see any group you need, check if you have the relevant rights to this Facebook group.